Luna have added some more dates to their autumn tour of the US playing Bewithced and Penthouse full album shows. As soon as I hear of any more I'll be adding them here. Sweet vidoeo of a short interview with Dean Wareham about records followed by video of them playing Galaxie 500's Blue Thunder at Fingerprints in Long Beach, CA. Luna have announced two shows playing Bewitched and Penthouse on consecutive nights at The Bowery Ballroom in New York in October. Tickets for the shows go on sale to regular folk on Friday 12th April at 12pm EST - there's a pre-sale for Citi Cardmembers on the 9th - check the Eventrbrite links for details. The Dean Wareham vs. Cheval Sombre show in San Francisco at the end of January is now being shared on bittorrent site Dimeadozen. Dean & Britta's second album Back Numbers is to get a vinyl release later this year. The album first released on CD by Zoë Records in 2007 will finally get it's vinyl outing on Danish label Wouldn't Waste Records who previously gave the duo's 13 Most Beautiful LP it's first vinyl release in 2017. The album is being mastered from the original 24 bit files and is expected to be available in late May or June. Keep an eye on the label's Facebook page for updates. 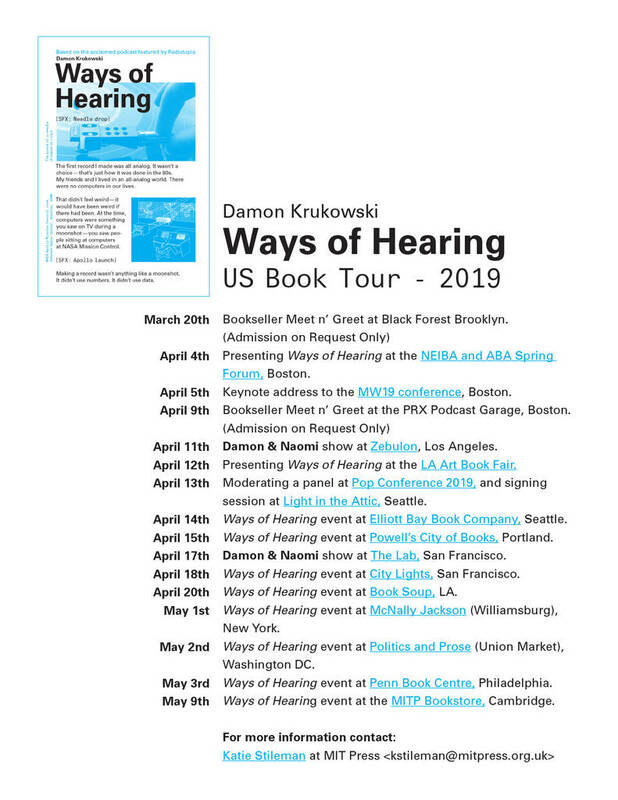 Damon's print version of his fantastic Ways of Hearing podcast is about to hit the shops so Damon will be hitting the road on a promotional tour around the US in support of it. The tour includes stops in bookshops as well as couple of conferences - plus Naomi will be in Los Angeles and San Francisco so they've squeezed in a couple of live shows too. If you haven't yet checked out the podcast head over to Radiotopia where you can hear the whole show for free or, if you prefer, you can buy a lossless and advertless download from bandcamp. The book will be in the shops soon and is probably available to pre-order from your on-line retailer of choice. Luna have started curating a series of playlists on Spotify and Apple Music and they're inviting fans to suggest ommisions. Luna Essentials is, as its name suggests, an "essential playlist of songs from Luna"
Keep your ears peeled as I'm sure there'll be more - and if you spot anything missing (and of course there are things missing) feel free to tweet @luna_theband and set them straight! Damon & Naomi have just released a new compilation of tracks from their 20|20|20 albums. 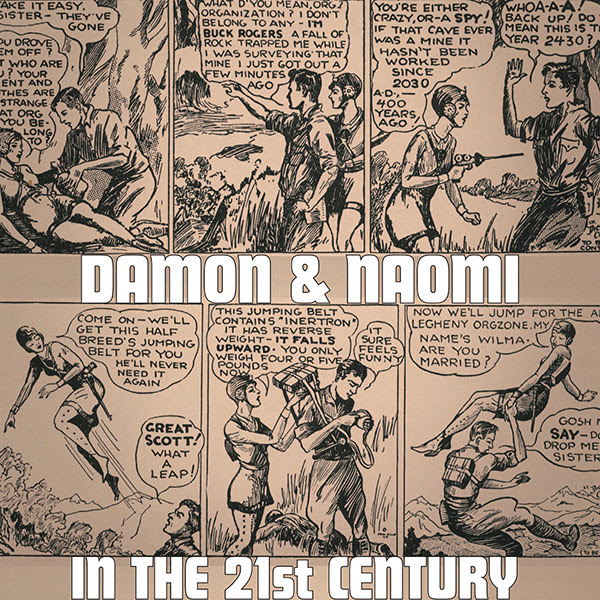 Damon & Naomi in the 21st Century is a companion piece to the bands Sub Pop Years released ten years ago. The album is available for pay what you like at the band's bandcamp page and comes with a pdf of liner notes written by Jenn and Liz Pelly. They make me want to see what else the world might have to offer beyond what I know. They make me want to chase ecstatic inspirations as far as they go. Head over to Damon & Naomi's bandcamp page and fill your boots (and throw a bit of cash their way while you're there). 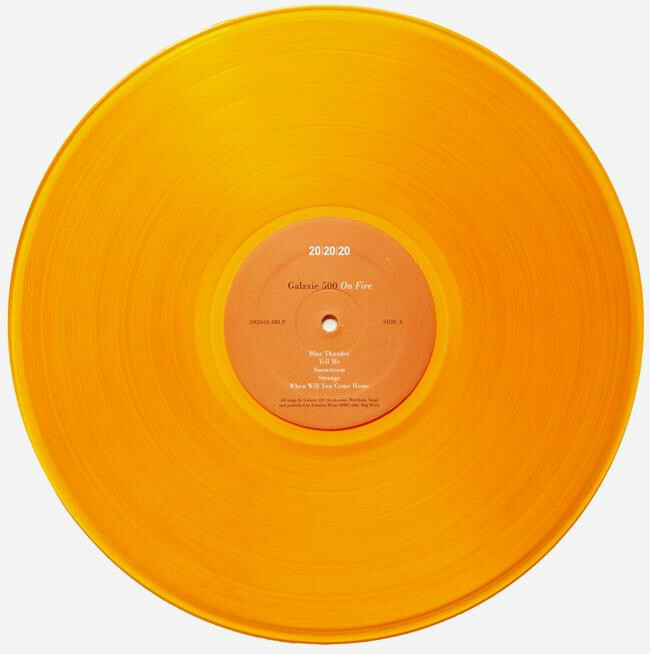 Galaxie 500's second album is getting a limited edition re-release on orange vinyl exclusively through Newbury Comics. The 2009 remastered edition of the second album from Galaxie 500, On Fire, originally released in 1989. The album from the Cambridge trio - Dean Wareham (guitar, vocals), Damon Krukowski (drums, percussion), and Naomi Yang (bass, vocals)- was produced by Mark Kramer and features Ralph Carney and their cover of George Harrison's 'Isn't It A Pity'. Come ride the fiery breeze.